As many of the desirable performance differences of silicones are related to their surface properties, it is important to be able analyze their surfaces effectively. This chapter presents an overview of key surface analysis techniques that can provide information on the surface morphology, chemical composition and surface physical properties of silicone materials. These techniques are X-ray photoelectron spectroscopy, secondary ion mass spectrometry, scanning electron microscopy and scanning probe microscopy. Both fundamentals and applications to the analysis of silicones are covered. 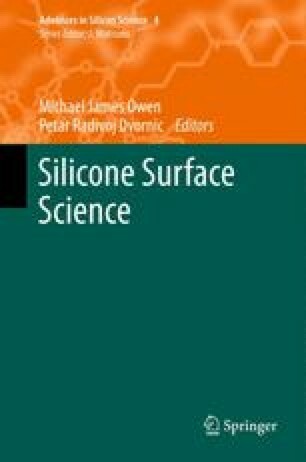 It is evident from a consideration of key examples that in many cases it is a combination of these analytical techniques that provides a clearer picture of the surface properties of silicones.